"Sampath Speaking" - the thoughts of an Insurer from Thiruvallikkeni: CiCi Bellis dream run at US Open ~ Stanford Univ connection !! CiCi Bellis dream run at US Open ~ Stanford Univ connection !! All parents worry about the future of their kids and insist that they devote more time on studies, and stay away from sports ! Another Grand Slam tournament got underway… it is the US Open - a hardcourt tennis tournament which is the modern iteration of one of the oldest tennis championships in the world, the U.S. National Championship, for which men's singles was first contested in 1881. Since 1987, the US Open has been chronologically the fourth and final tennis major comprising the Grand Slam each year; held annually in late August and early September over a two-week period. Since 1978, the tournament has been played on acrylic hard courts at the USTA Billie Jean King National Tennis Center at New York City, New York, United States. Today, Serena Williams will try to take a step closer to history when she plays her third-round match at the U.S. Open. The world number one takes on Johanna Larsson of Sweden for a place in the last 16, the third step on the path to an Open Era record 23rd grand slam title. Williams’ second-round win over fellow American Vania King brought her level with Martina Navratilova’s record of 306 grand slam wins. Thanks to injuries to two opponents, Novak Djokovic did not exactly need to put in much work to reach the U.S. Open’s fourth round for the 10th consecutive year. So it made sense that the defending champion and No. 1 seed would spend extra time practicing in Arthur Ashe Stadium under the watchful eye of coach Boris Becker after spending a grand total of 31 minutes of match time on court over the second and third rounds. Stanford University, officially Leland Stanford Junior University, is a private research university in Stanford, California. The University was founded in 1885 by Leland Stanford, former Governor of and U.S. Senator from California and railroad tycoon, and his wife, Jane Lathrop Stanford, in memory of their only child, Leland Stanford Jr., who died of typhoid fever at age 15 the previous year. Stanford admitted its first students in 1891 as a coeducational and non-denominational institution. Tuition was free until 1920. The university struggled financially after Leland Stanford's 1893 death and again after much of the campus was damaged by the 1906 San Francisco earthquake. It has come a long way since and is one of the most sought after academic campus. Stanford faculty and alumni have founded many companies and companies – it is stated that Sixty Nobel laureates and seven Fields Medalists have been affiliated with Stanford as students, alumni, faculty or staff. 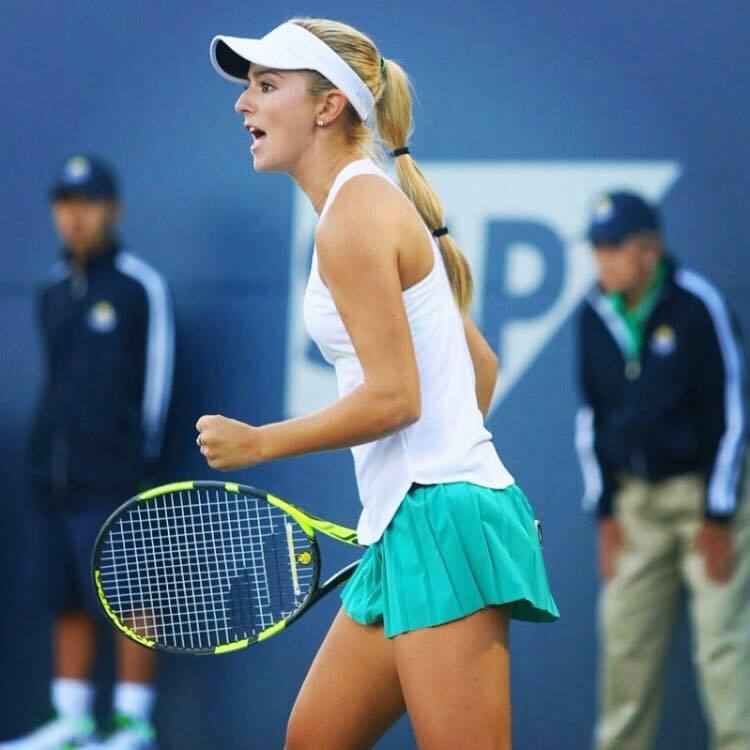 A couple of years back, a 15-year-old unknown named Catherine Cartan ‘CiCi’ Bellis stunned 12th-seeded Dominika Cibulkova to become the youngest girl in nearly two decades to make it past the first round at the US Open. That result made the Californian an overnight sensation and prompted fans to queue for hours for her second-round match, where a charmed run that had started in qualifying ended in three sets. This time Bellis, still not old enough to vote in the November election, will stick around a bit longer after fighting back from a set down on Wednesday evening for a 2-6, 6-2, 6-2 win over countrywoman Shelby Rogers to reach the third round at Flushing Meadows. The 23-year-old Rogers, a surprise quarter-finalist at this year’s French Open, who entered with a career-high ranking of No49, had seen off Bellis at a $75,000 ITF tournament on clay three weeks before Roland Garros. Bellis, who has given a verbal commitment to play at Stanford University, earned $140,000 in prize money with Wednesday’s win, a windfall she must forfeit to maintain her college eligibility. But NCAA by-laws grant leeway for travel expenses, which allowed the two-time tournament darling to upgrade her hotel room. So far the world No158 has resisted the impulse to turn professional, even as it’s become increasingly clear she can compete at the tour level. It was reported that if the 17-year-old from Northern California pulls off another shocker Friday, she could no longer be in Stanford. The NCAA has stringent rules regarding pay for play. Last year, it started allowing players to earn up to $10,000 in prize money. In addition, the NCAA allows prize money to cover the U.S. Open’s travel expenses. So far, with her three qualifying-match victories, Bellis technically has earned $144,000. If she keeps it all, Stanford is history. However, she need not worry this time as the 17-year-old amateur’s storybook march through qualifying into the third round came to a screeching halt in Arthur Ashe Stadium against Germany’s Angelique Kerber, who needed less than an hour to win 6-1, 6-1 and book a date in the last 16 opposite Petra Kvitova, who won earlier on Friday. The matchup of counter-punchers produced attractive and occasionally dazzling power-baseline tennis. Bellis, the lone remaining qualifier in the draw who was bidding to become the youngest American to reach the second week at Flushing Meadows since Venus Williams in 1997, showed her fighting spirit in the opening game when she rallied from love-40 down on Kerber’s serve to earn a pair of break-point chances. But from the moment Kerber broke Bellis at love on the teenager’s first service game, the German’s advantages in strength, footwork, precision and experience all told, say nothing of her signature forehand down the line. So what would you advise your kid ! !